When it was decided in 2009 to erect a statue at the Hereford base of the world-renowned SAS a lot of thought had to be put in to who to immortalise. However, rather than a balaclava clad rescuer as many of us would connect the service with, following the Iranian Embassy siege in 1980, or even a modern day member such as Andy McNab or Chris Ryan who both have written extensively about their time in the SAS, the recipient was someone who I had never heard of before reading this book and I am sure is true for many others. 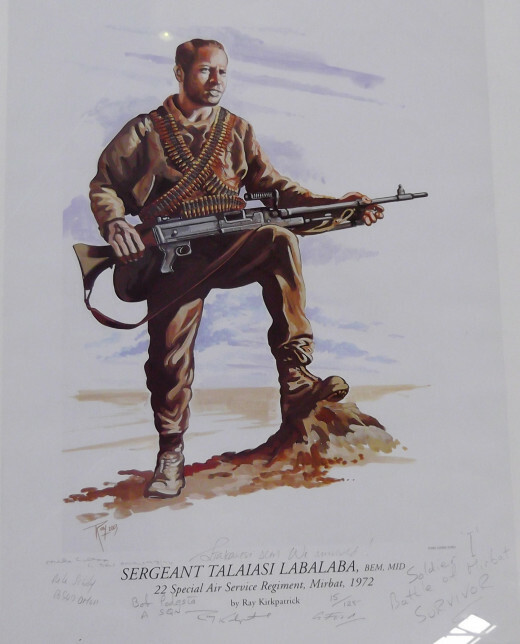 Sergeant Talaiasi "Laba" Labalaba. Following the end of the 2nd World War, Britain started to dissolve it's empire as there was a rise in anti-colonisation. However, with the rise of communism and the ongoing threat of the Cold War, small wars broke out throughout the old Empire. Oman, whilst not a member of the British Empire, or even a British protectorate, received a lot of British help through the 60's and in to the 1970s. May of the Sultanate's armed forces were British, either there on secondment or under contract. Indeed, the Omani Foreign Secretary when this book is based was a Brit. At the time, Oman was a fractured country with vast swathes of land under the control of Chinese and Russian backed rebels. Whilst they went by many names, there were more commonly known as the Adoo and in 1970, the Sultans son had had enough so staged a bloodless coup to usurp his Father. This coup saw the Sultanate take a slightly different direction as the new Sultan wanted to start to push back against the rebels in the Dhofar region and gratefully accepted British help. The British had suffered a bloody nose in defending Aden in neighbouring Yemen a few years earlier and associated battles in the Radfan had seen two members of the SAS beheaded and had their heads displayed in Yemen. As such they were happy to help and a unit of highly trained SAS soldiers were sent to Oman. Wary of being seen to be directly involved in a foreign civil war, the soldiers went under the guise of the British Army Training Team (BATT). Over the coming months the Sultanate Armed Forces (SAF), ably assisted by irregular bands of soldiers know as Firqa and the BATT teams, pushed back against the revels, securing footholds in the Dhofar region by which to start to stem the tide of insurgency. It was one if these footholds, the small fishing town of Mirbat where much of this book is set and where Laba placed his name in SAS folklore. In the early hours of 19th July 1972 a large group of Adoo attacked Mirbat, defended only by nine members of the SAS, who were due to return home the following day, and a handful of Omani soldiers. At first the SAS assumed the Adoo would mortar bomb them for a while and then retreat as they had in the past but this time was different. The defenders started to fight back, including Laba who had the foresight to run 500 yards from the BATT house to a large artillery gun which he started firing at the advancing enemy single handed, despite the fact that usually it would have taken six men to operate. Support was called for but at the time there was very low levels of cloud so the Sultanate Air Force, again staffed mainly by Brits, was unable to take off in their dependable but lower tech Strikemaster aircraft. Meanwhile back in Mirbat Laba was joined by his fellow Fijiain Tak and they continued to fight until Tak was hit in the shoulder by a bullet and Laba was then killed as he was shot through the neck. Eventually the pilots were able to take off and showing immense skill were able to start attacking the advancing hoards, slowly turning the battle back in the favour of the defenders. At the same time a back up force of SAS who had just arrived in the country to take over from those currently there were helicoptered in to help out and eventually, several hours after the fighting had started, the enemy had been defeated. Eventually another member of the SAS was to die of his wounds but the Adoo had suffered badly with 80+ killed. This left a big impact on their moral and started the downfall of the Adoo so that just a few years later, the civil war was effectively over. At the time the incident was kept quiet by the British government, still wary of admitting to actively fighting in a foreign country, and as a result Laba only received a Posthumous Mention in Dispatches. There has long been a campaign for him to receive the Victoria Cross (the highest medal for bravery) and whilst that may be unlikely, the unveiling of his statue at Hereford shows the respect his fellow soldiers have for him. I had previously read this authors account of the Vulcan Raid on the Falklands which I had enjoyed immensely. Because of this, this book kept showing up on my recommended reading list on my Kindle so, despite never having heard of this battle (or being aware of Britain's past presence in Oman) I decided to download it and read. As you may guess by the detail in to which I have reviewed the book, I really enjoyed this, even though it was maybe not what I was expecting. Given that his Vulcan book was based on a single mission where the aircraft was the key character, I was expecting a similar narrative here, especially as the cover features a picture of one of the Strikemaster planes. Instead the book goes much more in depth with the coup, the various battles as the SAF/BATT fought their way in to the Dhofar region and then the Battle of Mirbat itself. You do still feel like you get to know some of the key combatants and once I had started to get in to the book and understood it wasn't a single battle, I couldn't put it down. 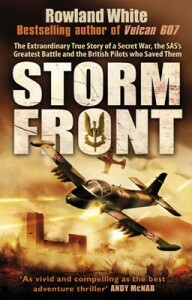 It probably isn't up everyone's street due to it's niche topic but if you have any interest in Military history then I would suggest giving the book a read as it is well written and really gives you a flavour of both the world at the time but also the courage and convictions of members of the Special Forces. 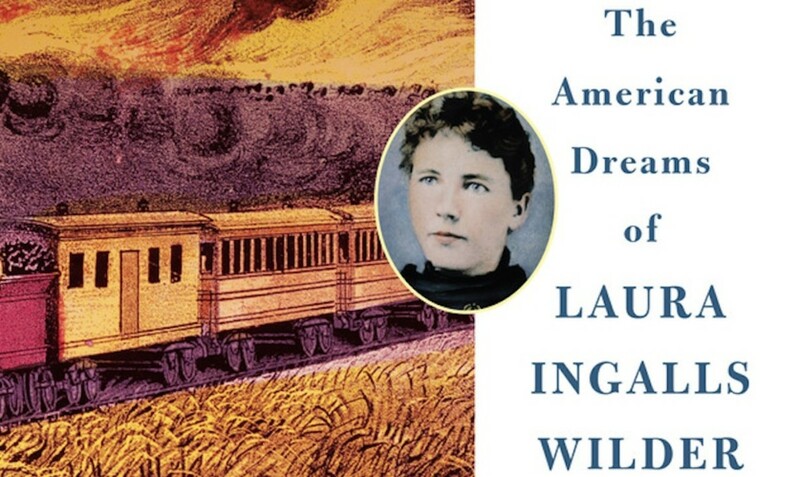 The Controversy of Caroline Fraser's "Prairie Fires: The American Dreams of Laura Inaglls Wilder." @BritFlorida: Thanks! Problem I now have is I have run out of books by this author!! Fascinating. You're definitely increasing my reading list today! @topclimb lm: If you liked Vulcan 607 then would really suggest you check this book out! I'm currently reading another book by Rowland White called Phoenix Squadron so expect a review of that here once I'm finished as well! I read Vulcan 607 and liked it.Thanks for your commentary and lens. @Ibidii: Thanks! I seem to be getting drawn more and more into military books at moment! ! I had not heard of the SAS or Mirbat. No surprise as I was up to my eyeballs in kids at the time. 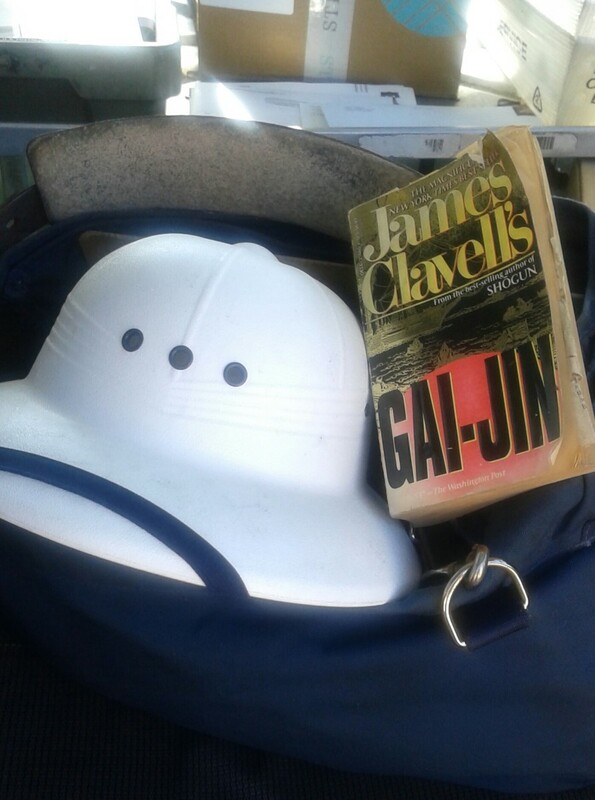 I did not become interested in Military novels until a few years ago. I will give it a try. @Dressage Husband: I agree that the stories of SAS action are fascinating and if you were unaware of them having been in Oman I would really suggest reading this book! I personally love books like this on the SAS their operations tend to be kept secret at the time as they never wish the identities of serving members to be known. Their skill training and professionalism are beyond doubt. Time and again they achieve seemingly possible objectives through this combination of skill determination and planning. The team that took out the IRA terrorists in Gibraltar out shot the very best Olympic marksmen and they did it out in public in a crowded town square and did not hit any stander byes! This despite one of them having to pull a lady out of his line of fire. All shots fired were fired before the bodies hit the ground and all would have killed the terrorists outright. Morale - never get on the wrong side of the SAS. They are truly amazing! Great review of an interesting book. I never knew they had been in Oman before today. @Snakesmum: Thanks, I'm currently reading another book by this author about another lesser known conflict so keep an eye out for my review soon! Interesting - like you,I'd never heard of this before. I'll have to check this movie out some time.